Wheat accounts for over 20 per cent of all calories consumed in the world. The rising global population is demanding a sustainable and secure source of wheat, pressuring major wheat exporting countries like Canada to be at the cutting edge of varietal development. Variety development across the world took a major leap forward in early 2016 when, at the annual Plant and Animal Genome Conference, it was announced that a Canadian-led team had sequenced 90 per cent of the highly-complex genome for bread wheat. 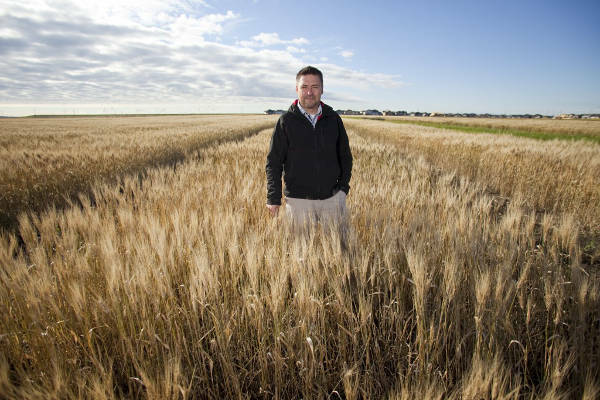 This breakthrough in genomic sequencing was accomplished, in part, through the Canadian Triticum Applied Genomics (CTAG2) project, which is co-led by plant scientist Curtis Pozniak of the University of Saskatchewanâ€™s Crop Development Centre. Wheat researchers across the globe will now have a resource that will allow them to better identify genes responsible for adaptation, pest resistance, stress response and improved yield. With the blueprint in place, years earlier than anticipated, researchers and breeders will begin work linking genotype and phenotype. Phenotype is the observable characteristics of the plant that result from the interaction between the genotype and the environment. Pozniak is quick to emphasize that while sequencing the genome strengthens the foundation of varietal development and provides an important tool for breeders to improve selection efficiency, it is only the first step in a complex process. Since the announcement in January, Pozniak and his team of researchers have been working diligently to ensure the entire genome of the test variety,Â Chinese Spring, is mapped completely and accurately before taking the next step. The CTAG2 project, which includes researchers from the University of Regina, the University of Guelph, the National Research Council and Agriculture and Agri-Food Canada, received funding from the Saskatchewan Wheat Development Commission, the Alberta Wheat Commission, the Manitoba Wheat and Barley Growers Association, and the Western Grains Research Foundation, along with several other organizations. 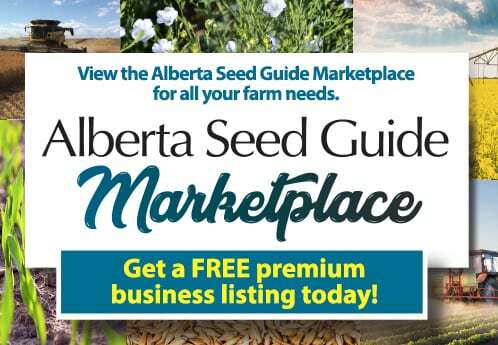 It is part of a larger collaboration involving researchers in Canada and from across the globe, who have been collaborating as part of the International Wheat Genome Sequencing Consortium. Pozniak says the excitement in the international crop research community about the release of the wheat sequence is unmistakable. Wheat researchers are now ready to put this tool to use in breeding varieties that will meet the needs of farmers and end users throughout the world.